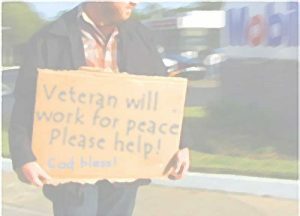 Become a member of San Diego Veterans for Peace with $35 annual dues. The San Diego Veterans For Peace, Chapter 91, has now embarked on a five-year plan to change public understanding of what the Miramar Air Show is actually all about. Here’s a short list. Glorifies war with an exciting and colorful show of speed, power and noise. Celebrates the skills and machinery that exist to kill, maim and destroy. Misuses taxpayer’s money for entertainment and defense industry marketing and sales. Is dangerous – 10% of Blue Angel’s pilots have been killed in accidents. Miramar jets have already crashed in San Diego neighborhoods. Serves as a misleading recruiting tool for our unsuspecting youth. Over the next 5 years we intend to encourage the public to recognize their exposure to skillful propaganda and eventually lose interest in the Miramar Air Show. We will work to steer the public to resist attending … in sufficient numbers to make the show not worth the time, effort, risk and expense. Our goal is to effectively shut down the Miramar Air Show due to non-participation. To accomplish this, we need donations to help us print and distribute stickers, door hangers, posters, flyers, banners, etc. 100% of all donations go to the production of these materials and are tax deductible for donors who itemize their taxes as we are a 501-C-3 veteran’s educational organization. We thank you for your serious consideration of our efforts.